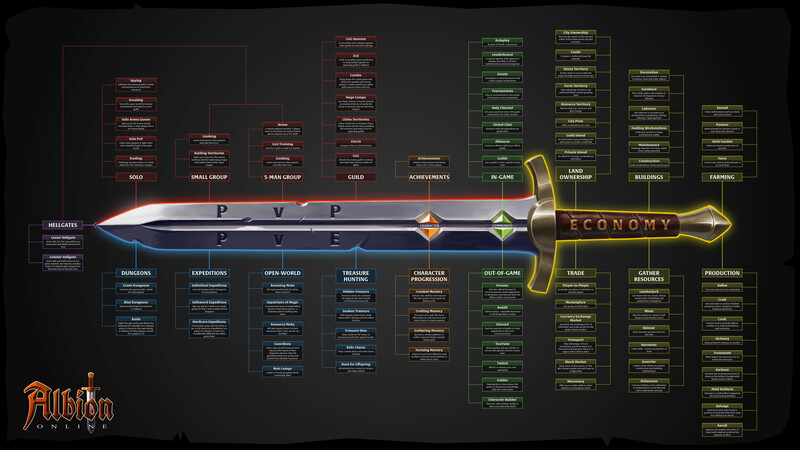 A hi-res chart displaying all activities available to players in the world of Albion. As we've recently had many new players join Albion Online, I've created this chart to show the vast amounts of activities available to players. Whether you like playing alone, with friends, or waging war on a massive scale - there's always something to do. Stay tuned for upcoming guides on crafting, farming, and more over the coming weeks.